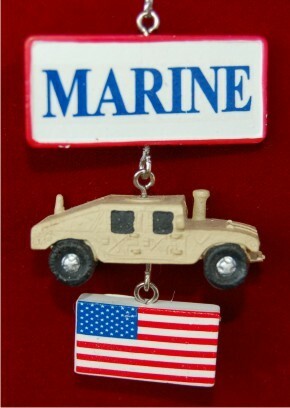 Give an oorah shout-out to your favorite marine with the Humvee and US flag Marine personalized Christmas ornament sporting a very cool design. These US Marines ornaments personalized by our lettering pros are a great way to show your support of our men and women in uniform, and they make great gifts for Marines and veterans too. An attractive cord is included, so it is easy to display the US Marines personalized Christmas ornament on the tree or other special location. 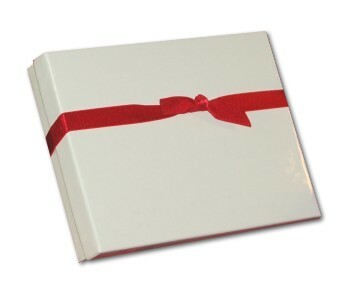 See our large selection of military ornaments personalized for the recipient. It includes quite a few other wonderful marine ornaments for developing a great theme. This one ships on our classic velvet drawstring bag.